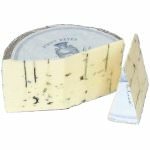 Huntsman is the marriage of two delicious British classics; Double Gloucester and Blue Stilton, brought together through a complex layering process. 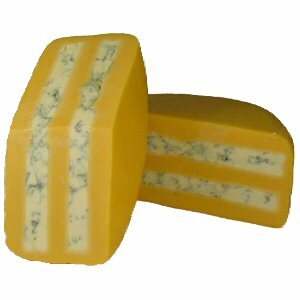 Creamy, forceful Stilton is sandwiched between an exterior of mellow, Double Gloucester. The result is an excellent flavor combination that is as delicious as it is beautiful. 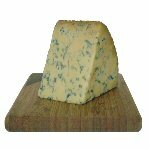 With this 2 layers of Blue Stilton you will take full advantage of the combination of Double Gloucester and Blue Stilton. 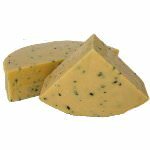 Ingredients: Pasteurized cow's milk, salt, vegetarian rennet, diary cultures, annatto as a color, Penicillium Roqueforti.